The scene of the incident on the A947. 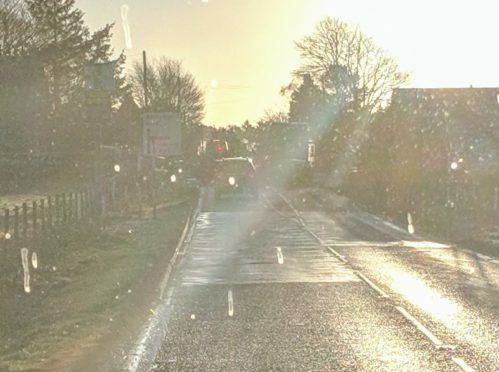 Ambulance and police crews are on site of a two-vehicle crash on the A947 in Whiterashes. The incident happened on the junction with the B993 at around 9.20am this morning. Ambulance teams attended to the occupants of the vehicles – it is unclear if their injuries are life threatening. The road is completely blocked with tail backs expected. Police are asking motorists to use alternative routes.